The Dukes were already looking for ways out of their agreement to put Aline on the throne, but with the Saints turning up dead, rumors are spreading that the Gods themselves oppose her ascension. Now churches are looking to protect themselves by bringing back the military orders of religious soldiers, assassins, and (especially) Inquisitors - a move that could turn the country into a theocracy. multiple characters voiced with a keen ear to who they are. the story has intense, well defined fight scenes. Wonderful schemes and solving puzzles. comic relief. this story moves quickly, leading me directly through 1, 2, and now 3. I'm ready to download #4. This is a remarkable series, & gets better with each book. Joe Jameson does a fantastic job across the series, with every character, male, female & diety alike. Please keepbwriting, and narrating gentlemen. 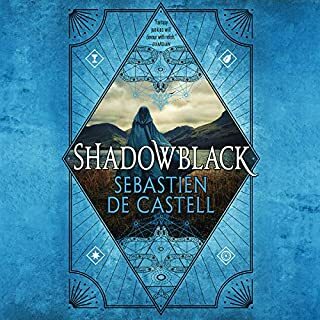 Additionally, I find it refreshing that Sebastien de Castell not only acknowledges his real- life “greatcoats”, but does it so sincerely and with such genuine feeling. So glad his work came across my radar. it was good overall but Falcio changed from a hero-ish character to a whimpering coward. I think he got some new balls at the very end, hopefully he keeps them in the next book. 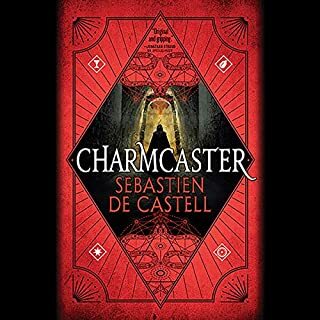 I listen to many books in this genre and I must admit I really loved this one for the unique aspects of it. Without going into much spoiler detail the aspect of learning things via song really stood out to me as something I never really think about in my every day but tend to use. The characters are likable and some big emotions between them. 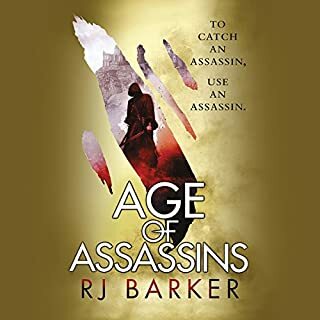 I recommend this as well as the rest of the story as this review is for the over all series not just this book. Really good, but left me feeling uncomfortable. This book would have been entirely enjoyable. I just wish it would have shifted away from Falcio's perspective. It was just uncomfortable sticking with him while he was so completely pathetic. It was good that other characters got to be the hero than him and his two friends. Just wish we werent stuck with him anyway. I enjoyed the whole series it was exciting page after page . If anyone is interested in a good series to read here it is . I love these books, and I'm a fangirl for Joe Jameson. I loved it and didn't want it to end.. there's only one more!! This is probably one of my newest favorites of all time. I've binged these books. I still have the fourth left but I can't put it down. These novels have snark, loss, laughter, love, growth. There is just so much to them. Thr narrator does a superb job. 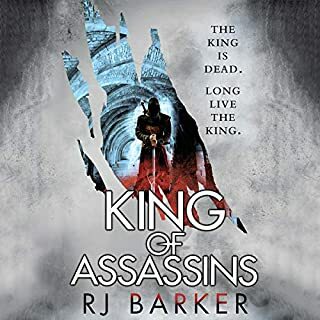 If you are a fan of Lord of the Rings and the Kingkiller Chronicles, you will love this series. 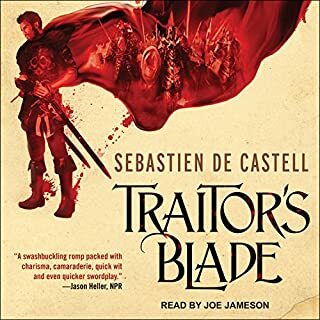 The thing I loved so much about Traitor's Blade, the first book in this series, was the humor and sense of adventure. 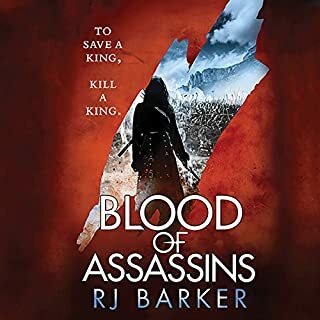 Knight's Shadow, book two, seemed to lose a little of that in the beginning before picking up steam, but Saint's Blood shoots out the gates with a return of the fun and adventure that made me love this series in the first place. 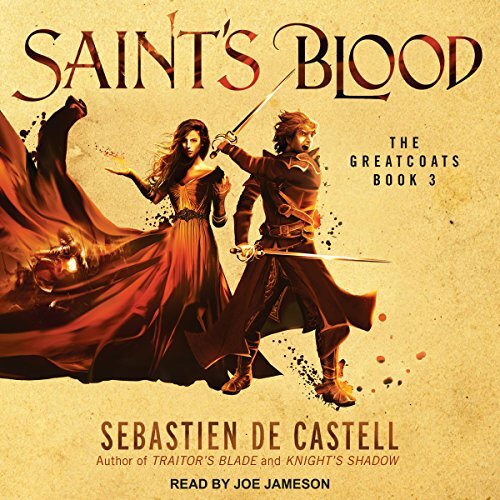 The hilarious banter between Falcio, West, and Brasti, was a welcome return to the series, and Saint's Blood turned out to be my favorite book so far. The narration from Joe Jameson continues to be perfect for this series. I am excited to move on to book 4.
wow... each book out does the next. on to the 4th with excitement and wonder.